No matter how well you clean your home, you may be overlooking one important area that impacts your indoor air quality: your mattress. Every night, our bodies make about half a litre of sweat and shed nearly a gram of skin. Your mattress can easily become home to fungal spores, bacteria, and dust mites that feed on your shed skin. There are many sources of indoor air pollution. Along with paint, glue, and smoke, your home's air quality can also be affected by biological contaminants in the air. This includes dust mites, cockroaches, pollen, mildew, mold, viruses, bacteria, and pet dander. When you consider just how much skin, sweat, and oil your body produces every night while you sleep and the millions of dust mites, fungal spores, and bacteria that call your mattress home, it's easy to see why your mattress can be a major source of contaminants in your air. After all, you spend about eight hours every night on average in full contact with your mattress, breathing in whatever is hiding in your mattress. What Does Mattress Cleaning Involve? Vacuuming. 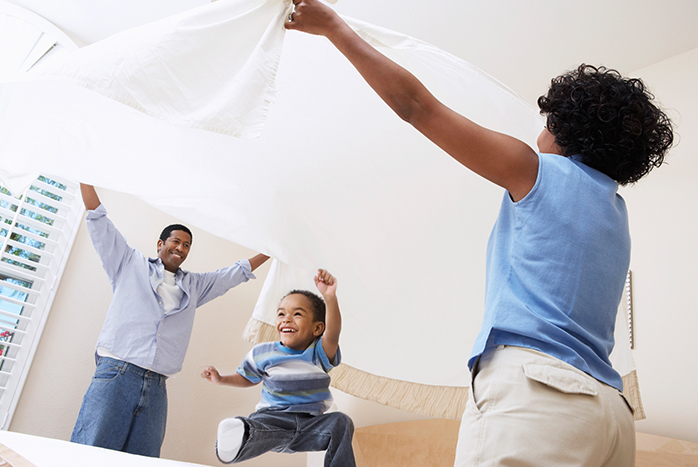 The first step is vacuuming the mattress to remove skin cells, dust, and debris that accumulates over time. A clean upholstery attachment should be used to avoid depositing any new contaminants on the mattress. Deodorizing. Your mattress likely has a good amount of sweat and dust in it. Just like sweat on your body smells and makes people walk a little farther away from you, so too does your mattress start to develop its own aroma after awhile. Deodorizing the mattress neutralizes any odours it may have developed. Cleaning and stain removal. Protein stains from sweat, vomit, blood, and other bodily fluids can cause serious stains on your mattress as they move right through your sheets. Stain removal is one of the more time-consuming aspects of mattress cleaning but it keeps your mattress fresh and avoids giving bacteria and mites something to eat. Steam cleaning. If you have allergies or tough mattress stains, professional steam cleaning is an extra step that can protect your health. However, as mattresses and moisture don't mix and the wrong technique can allow mold and mildew to grow. Clean Air Solutions uses a chemical free, dry cleaning method that extracts all of the molds, dust, debris and other nasty stuff out of your mattress, leaving it clean, odor, and chemical free. Vacuum the mattress yourself as best you can. You can use an anti-allergen / deoderizer if you wish, but please be aware that this can leave your mattress coated in chemicals that themselves could cause allergies. This method generally is unable to remove all the allergens, molds, dirt, and dustmites from your mattress, but can be a good maintenance practice in between professional cleaning. Are you worried about what may be thriving in your mattress while you sleep? Click here to learn more about our mattress cleaning service. Schedule Clean Air Solutions chemical free, dry mattress cleaning services today to safeguard your health and peace of mind.